Rout of Modi, BJP will ensure justice for A.P. 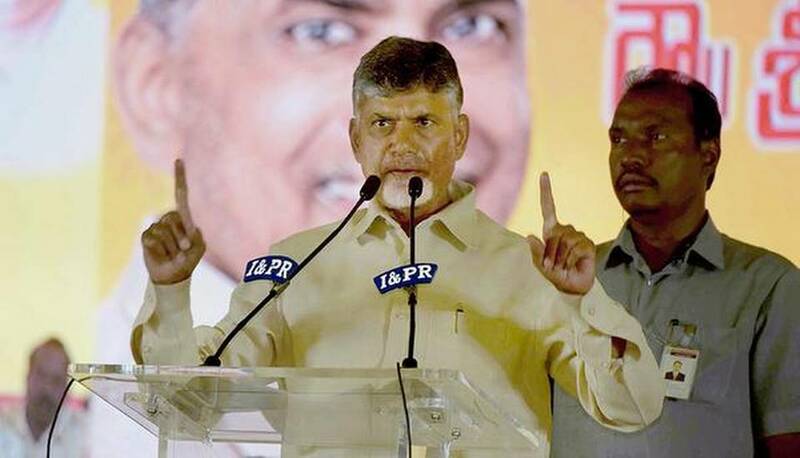 Stepping up his attack on the Centre, Chief Minister N. Chandrababu Naidu on Thursday said only the rout of Narendra Modi and the BJP would bring justice to Andhra Pradesh. He also saw no prospects for the federal front being pursued by Telangana Chief Minister K. Chandrasekhar Rao. How can anything be done in a House of 540 without anyone’s support, he wondered. Addressing a public meeting at Tagarapuvalasa after laying the foundation stone for I-Hub, he said though he was humble in seeking aid for the new capital, Amaravati, Mr. Modi denied assistance, and alleged that he was jealous of A.P. surpassing Gujarat in terms of development. I-Hub, to be developed on 50 acres by the State government and UNESCO Mahatma Gandhi Institute of Education for Peace and Sustainable Development, would develop content for education and for learning through games. It would provide jobs for 5,000 and indirect employment to 20,000 to 25,000 people, he said. Mr. Naidu also inaugurated or laid stone for works worth ₹3,167 crore for Visakhapatnam city. Accusing Mr. Modi of being behind the YSCRP, the JSP and KCR, the Chief Minister said he had joined hands with the Congress after fighting it for 35 years to counter the BJP. Its impact was evident now and with the defeat of BJP in Madhya Pradesh, Rajasthan and Chhattisgarh, he claimed. Even Mayawati (BSP) and Akhilesh Yadav (SP) came around to support the Congress. His efforts to forge a front against the BJP had brought together several parties at the national level, he claimed. Mr. Naidu accused Mr. Modi of destroying institutions such as RBI, CBI and ED and targeting political adversaries. Mr. Naidu said he had offered to work with the TRS if he fought against Mr. Modi, but KCR was even against his joining hands with the Congress. As if my working there is a mistake, KCR is now stating that he will give me a return gift, he said wondering what was the justification. After the division of Andhra Pradesh, KCR had spoken in favour of Special Category Status for Andhra Pradesh and was now opposing it, Mr. Naidu said. If SCS was granted without any adverse impact on Telangana, what would Y.S. Jagan Mohan Reddy and Pawan Kalyan lose and why they should they support a party that opposed SCS to Andhra Pradesh, the Chief Minister asked. TDP was ready to do anything for people, he said denying that he was afraid of KCR, Mr. Naidu said. Deputy Chief Minister N. China Rajappa, HRD Minister Ganta Srinivasa Rao, ZP Chairperson Lalam Bhavani, MLAs and officials participated.